Earn $17.20 in VIP credit (1720 points)What's This? 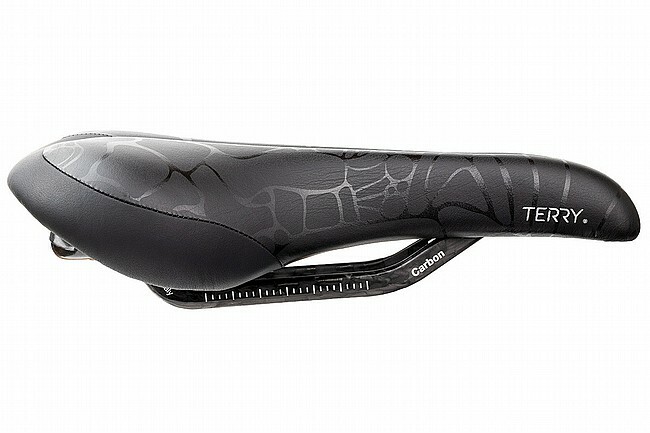 The legendary Butterfly is one of the most popular women-specific saddles in existence, and a favorite of racers and recreational riders alike. This extra light version features carbon fiber rails, for an additional performance advantage. Like the original Butterfly, the Butterfly Carbon uses a low profile, flat top with multi-density, injection molded foam for a bit more stiffness in the rear (more power while pedaling). A central cutout is also added to eliminate pressure on longer rides. In addition so shaving weight, the carbon rails are also shock-absorbing, attaching to the shell in an integral suspension bridge design to further minimize road vibration. 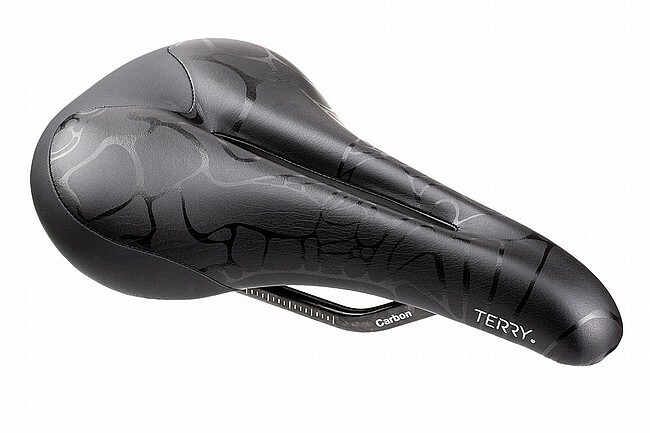 The Butterfly Carbon is available in Black. Dimensions: 10.3" x 6.1". Handmade in Italy. 9.6mm x 7mm carbon rails. 218g.